Looking of metal storage sheds and garages in Ireland? 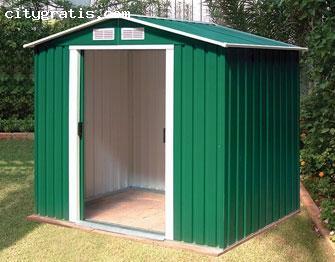 We have many types of metal sheds available. Metal garden shed are available in 8X4 size. Also offer free shipping! There are some features like ridged profiled panel provides more strength than flat steel, ventilated gables to the front and rear allowing airflow into the shed.